Viridian Betaine HCl With Gentian combines optimal potency Betaine HCl with Gentian root. The high acid (low pH) environment in the stomach also has a secondary function in preventing digestive infections from microorganisms, which may enter the digestive tract through food and airborne sources. Further, stomach acid digests protein and reduces their potential for causing food allergies and sensitivities. 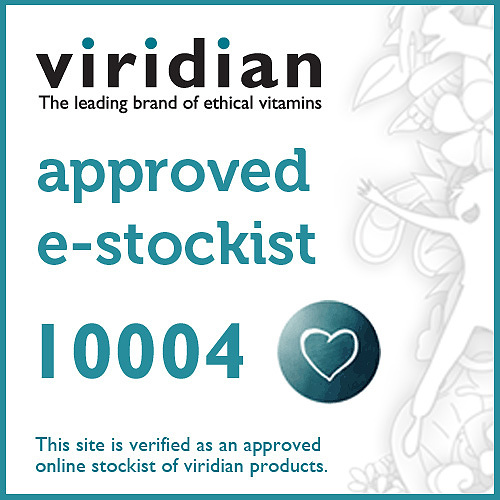 This vegan product contains 100% active and is free from gluten, soy, dairy, wheat, lactose, added sugar, salt, yeast, preservatives or artificial colourings. Betaine HCl (Hydrochloride), Gentian Root Powder (Gentiana lutea), Vegetarian Capsule. Take 1 to 3 capsules daily with meals, or as directed by your healthcare professional. 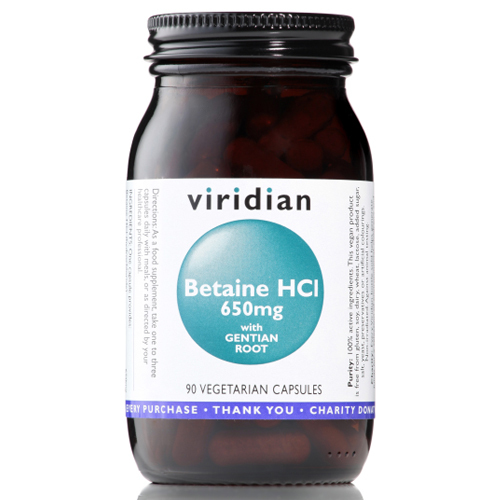 Below are reviews of Viridian Betaine Hydrochloride With Gentian - 650mg by bodykind customers. If you have tried this product we'd love to hear what you think so please leave a review.